Nostalgia is the act of donning rose-colored glasses and pretending things back in the day were better than the crap shoot we're all living in nowadays. That's why I asked you last #flashbackfriday to give me the best cars you found on eBay, made in the 2000s and under a $10k budget that are sure to be nostalgic classics in a decade's time. You'd have to have been mad/bonkers/insane to buy one for $37k new, but for $5k, it's a deal and a half. Let's add $2k to fix the blemishes. Or not. This luxurious Subaru Legacy GT is what happens when a WRX STi stops being the annoying guy at the coffee shop who vapes while angrily blogging and grows up to be your dad. It's still very much the edgy runabout that its DNA would lead you to believe, but in a better put-together and more mature shell. For this price, you could buy it, fix any pressing issues, and blow the doors off anyone in a ten mile radius with some secret sauce mods. It's what dad would've wanted. This Volkswagen Phaeton doesn't get enough praise, for two reasons: It's big, and Volkswagens aren't big. It's also expensive, and Volkswagens aren't expensive. It's as reliable as anything Germany has put out in recent years, and the V8 powerplant is shared by Audi and was used in everything from the A8 to the S4, so parts are plentiful and knowledge of common issues is abundant. It also gives the Mercedes-Benz S-Class a run for its money in the luxury department, and that's a mighty bold statement, coming from the self-appointed head cheerleader of the S-Class fan club. I'll be honest, this red Mercedes-Benz CLK500 isn't what I'd call the end-all of looks and luxury. It's not even on my spectrum, but after giving a closer inspection, it's a hell of a lot for your money. First, it has the 5.0 liter V8 from the larger S and SL classes, the pillarless, swooping lines that made the original long wheelbase coupes so popular, and an aggressive AMG-inspired front end. It's the car in between flagships that is deserving of the prestigious Mercedes badge in every conceivable way. Get one before people wise up. This Pontiac GTO basically a Corvette without the mandatory members only jacket and Duck Dynasty Season 1 DVD in the glovebox. It's a firebreathing, thirsty V8 that is as American as taking an apple-pie-and-whipped-cream deuce on Air Force One while whistling the Star Spangled Banner through one of your missing teeth. It's a car that can do everything good, not to mention it's a capable performer that's reliable enough to go a few hundred thousand miles without worry. It's a car that will likely appreciate in the future, so keep an eye out for low-priced GTOs, they don't come around often. 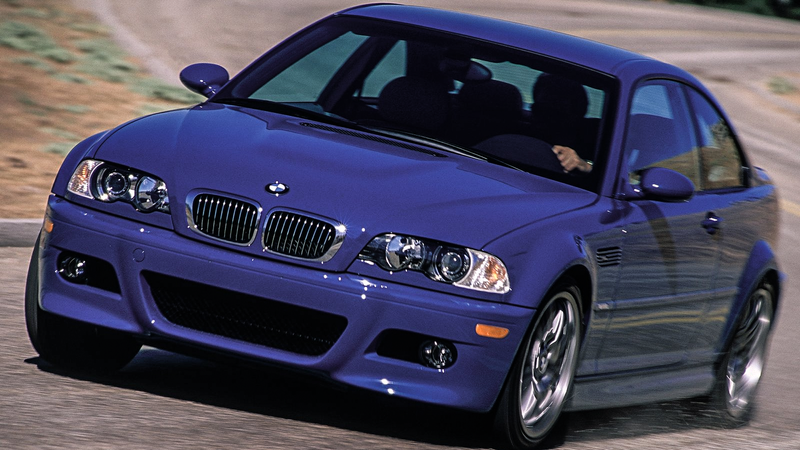 This BMW E46 M3 was so awesome when it came out that people still can't shut their traps about it. Its 3.2 liter inline-six cylinder engine produces 333 horsepower, which is, frankly insane. Only a handful of cars have a better naturally aspirated power per liter figure, and almost nothing has this amount of razor-edge handling for the money. From personal experience, even with the mileage this example has, it's worth it at twice the price. There's something about this Mercedes-Benz Sl500 that may be off-putting to a casual observer, in that it looks exactly like a 1992 Mercedes SL. And that's because it's nearly identical in every way. The redesign of the model didn't come until 2003, and the old boxy styling of the '90s was in full force in this final version of the R129 SL, but an added bonus was that all the kinks and foibles of the car up to that point were virtually eliminated, which made a very desirable, reliable, and iconic car that would look great in anyone's collection. Why not yours? The asking price is a bit out of budget, but with the market the way it is, I'd bet that the seller takes 10 large for this great looking example. This spectacular Audi S6 Avant is a V8 powered wagon that drives all four wheels and is made by the same people who thought the Bugatti Veyron would be a neat idea. It's not the easiest to maintain, but when you're driving a well-sorted example like this one, it's a car that makes a startling amount of sense. It's a car that gives you a much needed hug at the end of your work day, while asking with a grin, "what's a little oil leak between friends?" Don't be the person that buys the old cop car and drives around scaring teens and shaking down the local Dunkin Donuts for the 'boys in blue" discount. What you can be, however, is a performance enthusiast that knows that Police Interceptors like this one have better gearing, more stout engine cooling and stronger differentials, which mean more mod potential. At this price, it's almost impossible not to act a fool while looking (and feeling) like the man. Mazda came up with the Miata and revolutionized the way we see nimble four-cylinder roadsters. Then Honda decided to throw its sizable hat in the ring and came up with the S2000, a car that held the title of most horsepower per liter for years until it was beaten by a quarter-million dollar Ferrari. Its 2.0 liter four cylinder produced a mammoth 240 horsepower, and the early AP1 models revved to a rotary-shattering 9,000 RPMs. It's no wonder they're still very much in demand today, with low-mileage examples fetching a hefty premium, while more used, questionably-titled models like this one can be purchased (and repaired) more reasonably. Either way, it's a car that begs to be driven, so buy it, shut up, and drive.